My work often enters the realm of comical missed signals and malapropisms. Every trial seems to involve multiple such moments. During one, jurors were growing antsy from endless bench conferences involving multiple defendants and a cast of uber-combative (even by criminal trial standards) counsel. “If this were a plot line in a book, no one would fricking believe it,” murmured my co-counsel as we went back to our chairs after yet another tedious, tendentious evidentiary go-round at sidebar. A court officer approached gingerly and told us the jurors were requesting permission to watch a DVD during these lengthy conferences. We all nodded. As the court officer was about to leave the courtroom to go into the neighboring jury room and authorize the entertainment, the judge called him back and asked if there was a particular DVD the jurors wanted to watch. The court officer held up the DVD case. It was The Runaway Jury. During Jim’s treatment I thought I would pick up some light, humorous reading for him at the library so he would have more entertainment options during his long hours of chemotherapy infusion. After Jim died, I continued reading through the stack of books he had read and which still teeters on a small table on his side of the bed. Only then did I realize I’d done it again—at least once: unable to resist a blurb about Kurt Vonnegut’s Galápagos, which I couldn’t unearth locally, I had ordered it for Jim. 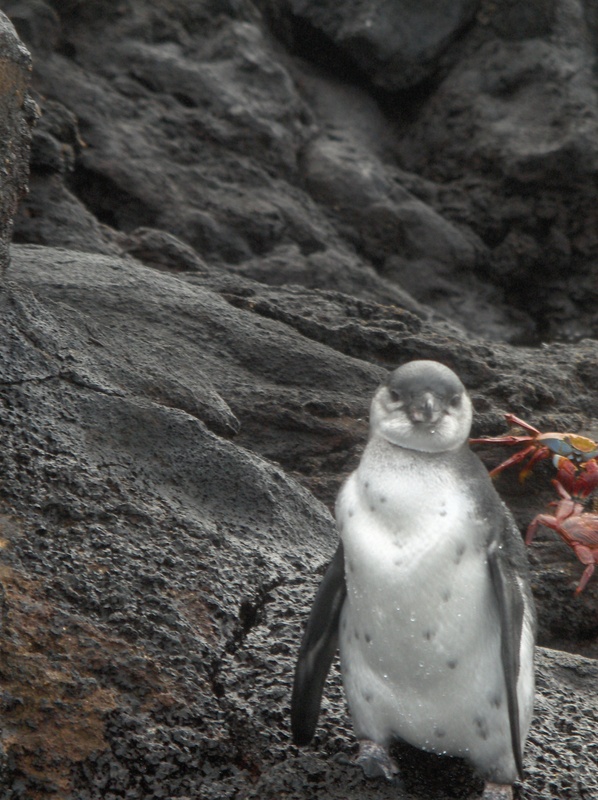 Our unforgettable final family trip, planned by Jim after he was diagnosed, was to Ecuador. I wondered, as I turned the well-weathered pages when Jim was no longer beside me, what he had thought when he saw Vonnegut’s device of placing a small black star before the names of characters about-to-be-dispatched-through-the-blue-tunnel-to-the-Afterlife. The novel’s body count was notable, and Vonnegut had used the symbol to designate any character whose time was short. ‘You could have years, Roy,’ she said. 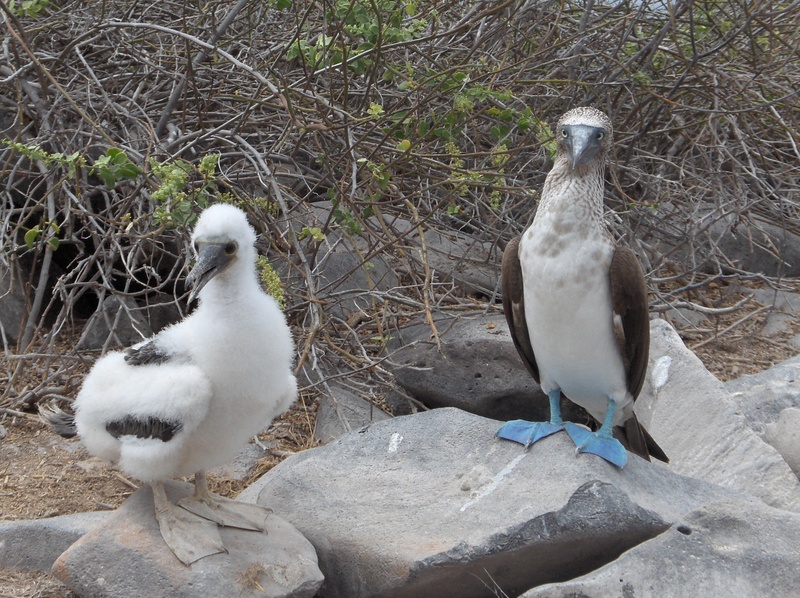 Blue-footed boobies, I thought as Jim planned our last trip as a family of six. That’ll be good enough for me. It never occurred to me that so many of the books I selected for my husband would strike quite so close to home. How could I go wrong with, say, anthropomorphic animal stories? So I picked up David Sedaris’s Squirrel Seeks Chipmunk. The cover featured a charming, cartoonish illustration of a romantic candlelit dinner between the eponymous leads. Perhaps I should have looked more carefully at some of the inside illustrations. Jim read the short stories for a couple of nights running and was chuckling. Only then did I learn he was reading “The Sick Rat and the Healthy Rat,” which, he explained, featured a white rat with pancreatic cancer. What are the odds? I had brought my stricken husband a cheerful-looking book of animal short stories, and one of the lead characters was dying of pancreatic cancer. Jim truly enjoyed the story’s darkly comedic ending. I read the book later and was amazed to find that the other rat was a parody of those who believe sickness is self-induced–and a subscriber to the limerick form (“I heard somewhere that limericks can cure both heart disease and certain types of cancer. Can you beat that? Limericks!”). Limericks–along with haiku, which also gets a nod in a character’s crack in the same story—make up the poetic form Jim and I had happen to have gravitated towards for many years for comedic purposes. The same short story also contained the essence of much deep philosophical musing and debate we had engaged in over the years with afflicted friends, one of whom I simply could not dissuade from the idea that she had lived her life in some way so as to give rise to her own cancer. I shall never believe that. And that was of course long before Jim followed that friend in showing that one can treat one’s body like a temple, and live the best of lives with the purest of hearts, and still mercilessly perish from this disease. The story ends with a limerick so marvelously twisted as to have brought a hearty laugh from Jim. Even then. [i] Kurt Vonnegut, Galápagos (New York: Dell Publishing, 1985), p. 38. [ii] Kurt Vonnegut, Galápagos (New York: Dell Publishing, 1985), p. 263. 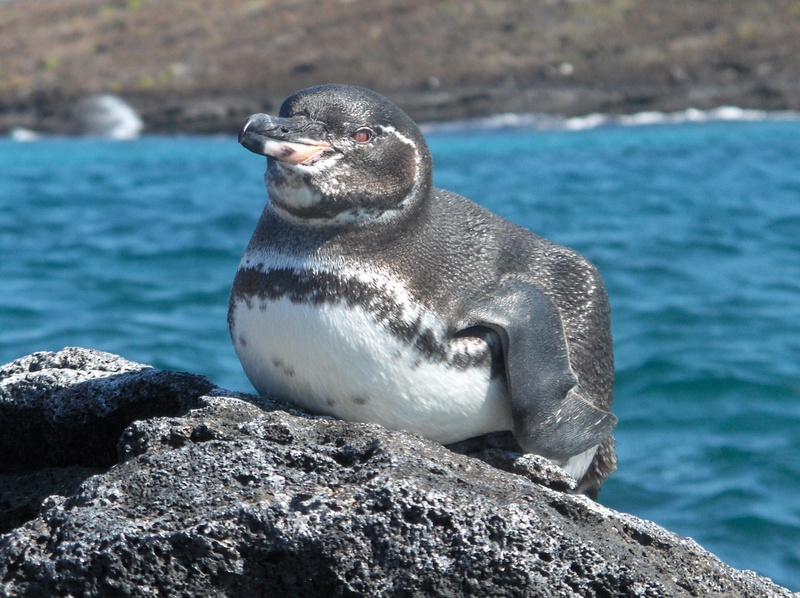 This entry was posted in Love and Loss and tagged Galapagos, pancreatic cancer, penguin, squirrel. Bookmark the permalink. There are so many things that have happened during and after Jim’s illness that just are inexplicable – but true and real and amazing. I have no doubt that you did not know what those books contained. About the time we were making the decision to adopt, I somehow had gathered together several novels with bits about adoption (good bits), and read them all on one vacation. It felt very uncanny and yet instructive. I’m not a believer in the whole “there are no coincidences” theory – but occasionally things happen just at the right time, and it just cannot be coincidental. Lately there have been such odd timings of important events, special people we’ve met by chance, and other strange coincidences that I do feel there is something else out there. Life unfolding, as it does, with little winks and messages for us. For me it’s weird and comforting all at once. I just read a great book – The Memory Keepers Wife. One character (a highly educated man, father, etc..) tries to plan out his life in detail, and it ends up ruining much of the life he had planned. Another character, a pregnant teen, earns money by creating elaborate and ornate paper cuts. When she puts scissors to paper, she does not plan ahead what the cuts will look like. She lets the paper reveal its own design as she is cutting. But I don’t know. I want you to know that I miss Jim too. Sardonic, dark sense of humor and all. Well, I am a believer that there are no coincidences, and this post reminds me that I believe this way. Thanks, again, Stephanie, for doing this. Your blogs share such humanity and gracefulness and love; I feel fed to satiety when I read them. A long time after the fact, Stephanie — but I followed links in your current blogpost and found myself here, with mingled pain and glory. Someone once said something terrific, I forget exactly what, was Grace under Pressure. You’re something else terrific, grace under pressure. Thank you so much, but I’m not sure I deserve such kind words: my husband personified grace under pressure. I can think of so many ways in which I could have navigated myself better while my husband was being so strong. But I am trying. Okay. So now I have to follow this site. It’s perfect. Why thank you so much! Delighted to have you following our adventures and misadventures.